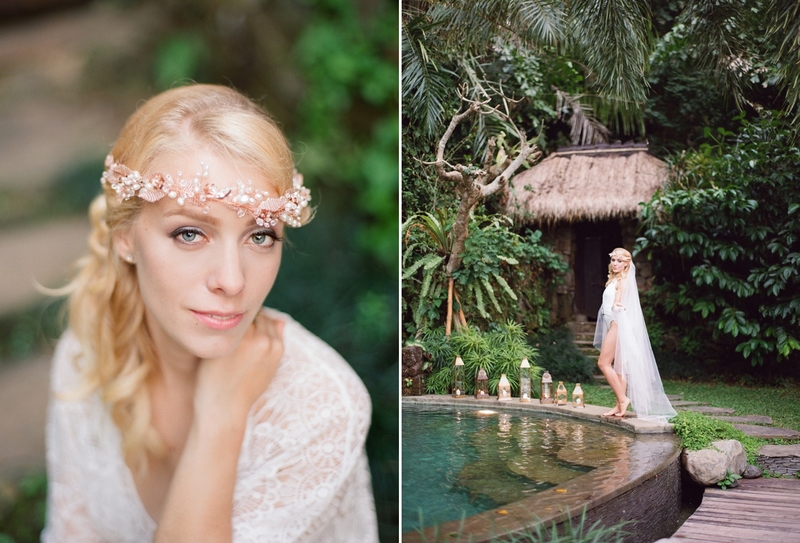 Since returning from our Indonesia trip this summer, I have been so excited about sharing these images from a destination elopement in Bali! 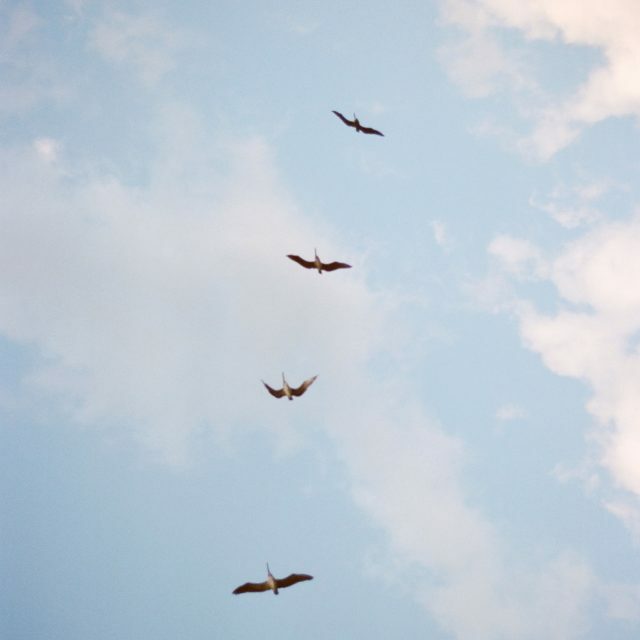 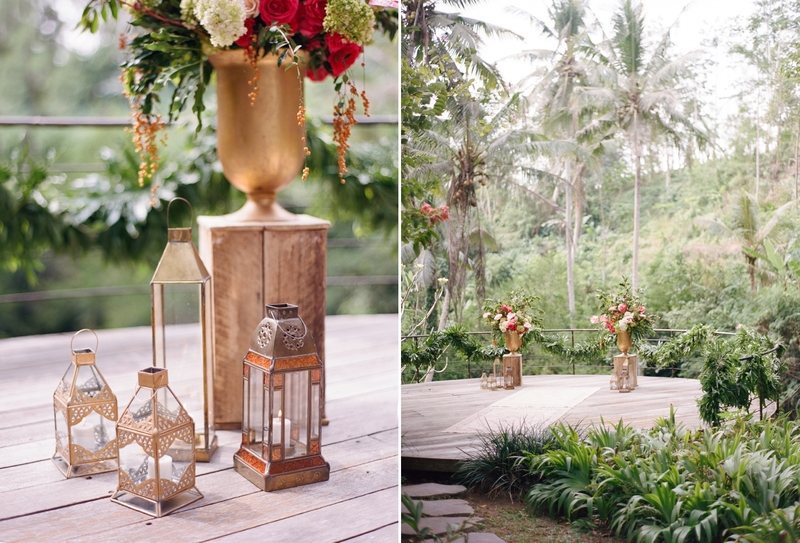 What began as an inspirational shoot and collaboration with the talented Hari Indah team, became even more magical with a slight twist in plans. 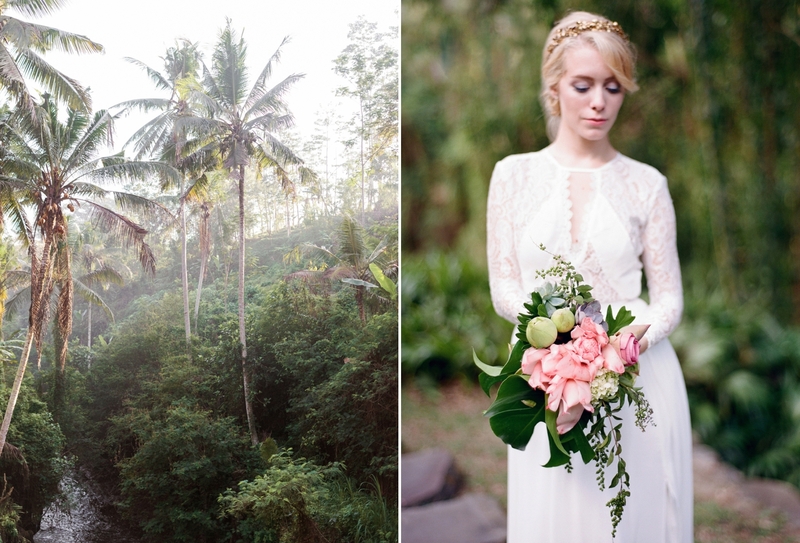 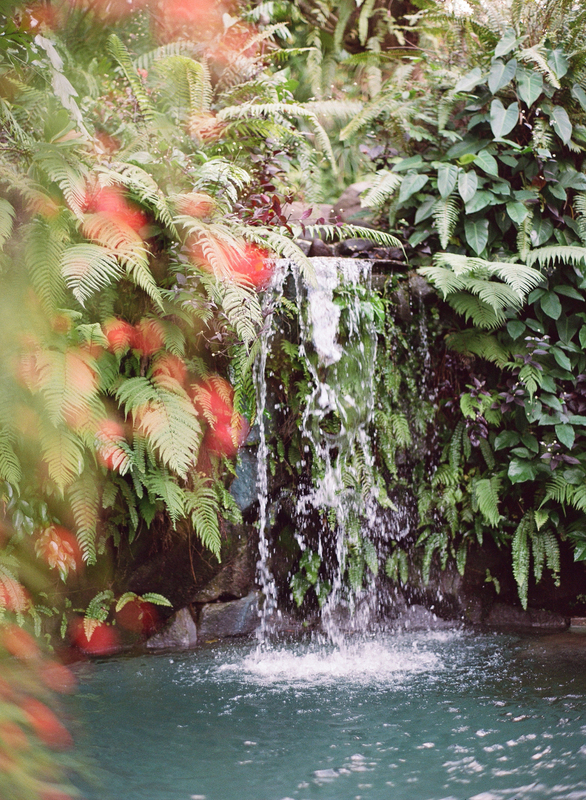 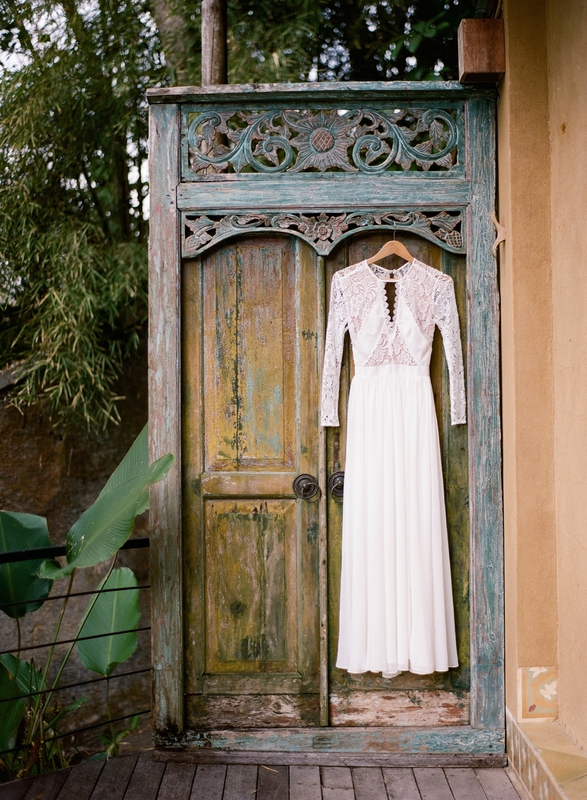 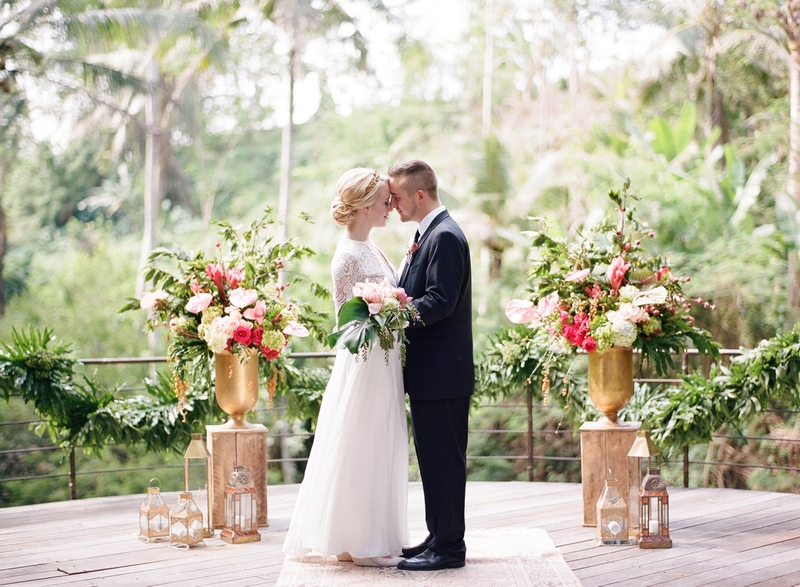 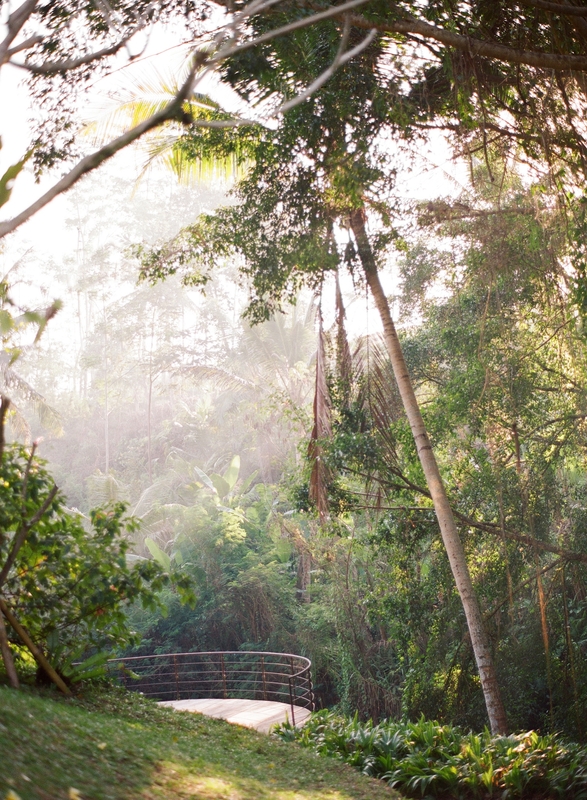 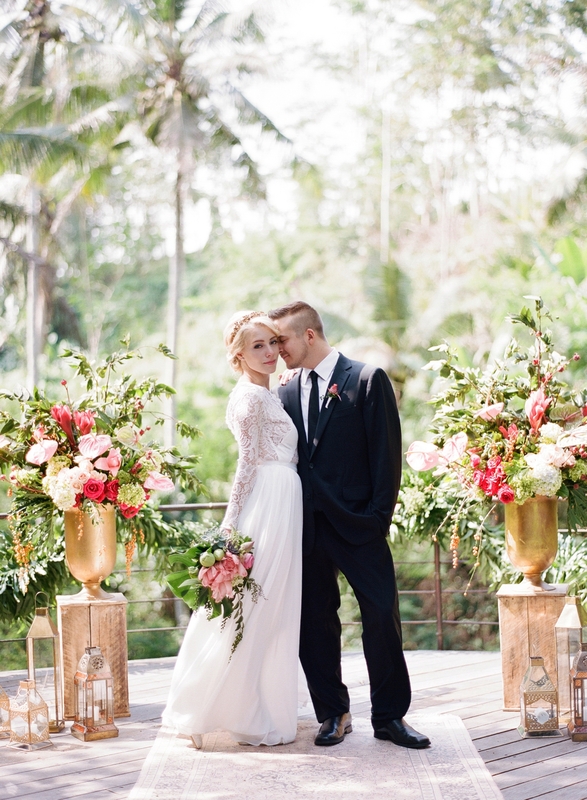 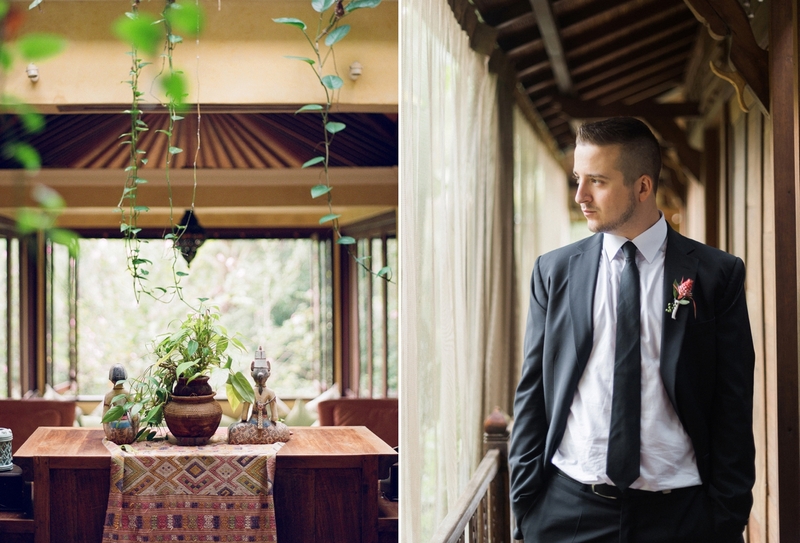 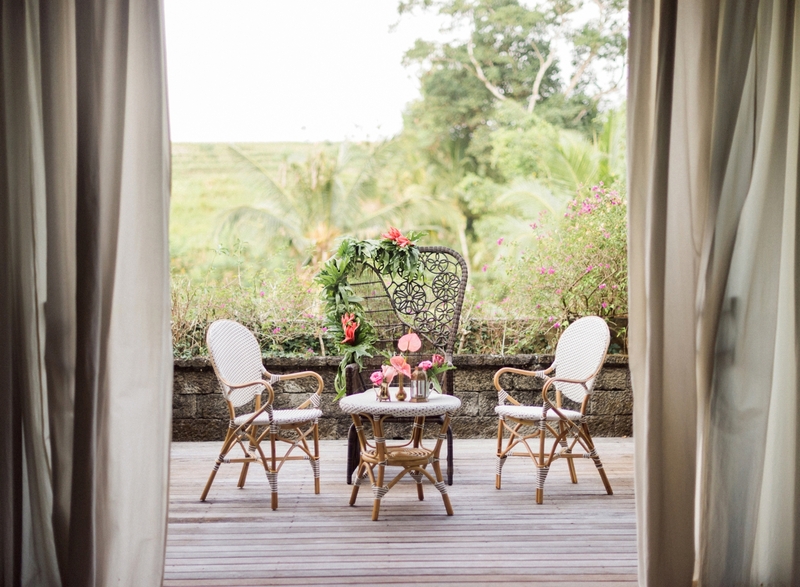 When our sweet couple Magdalena and Alex arrived on set at the Pelangi Estate in Ubud, they were blown away by the breathtaking location and enchanting ceremony site. 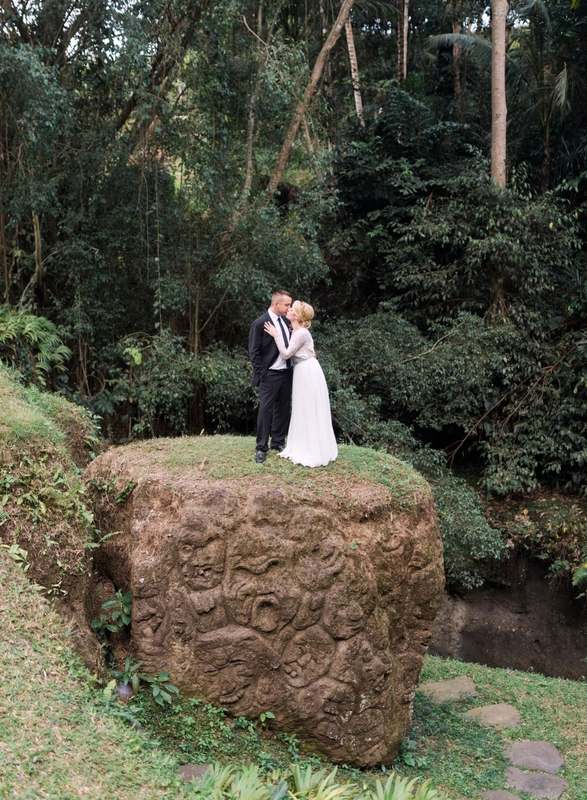 During the shoot prep that morning, the couple decided to actually tie the knot during the cliff-side ceremony, blessed by a local priest that had been traveled to the villa within the hour. 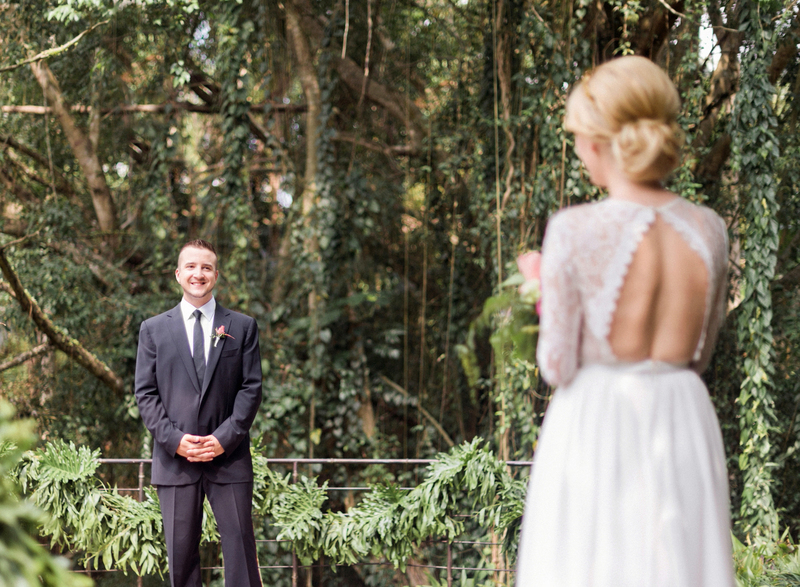 Magdalena and Alex spoke their vows to each other through laughter and tears of joy, and it was amazing being able to capture this extraordinary moment on film. 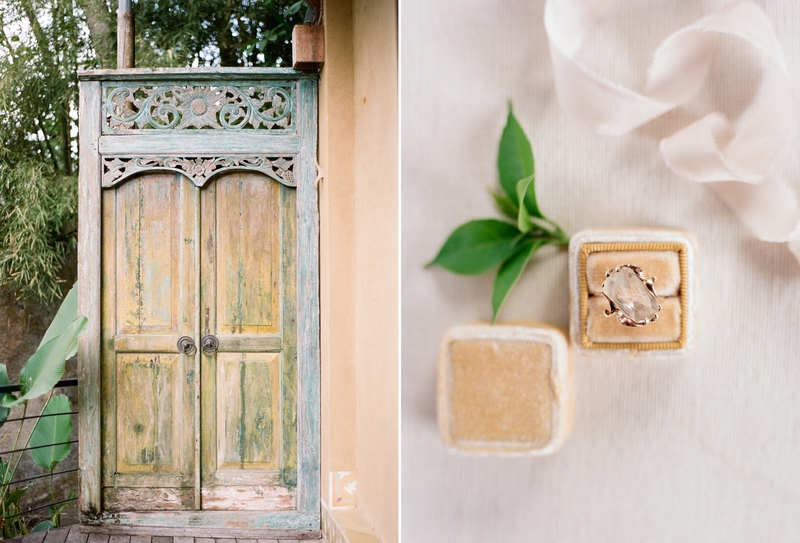 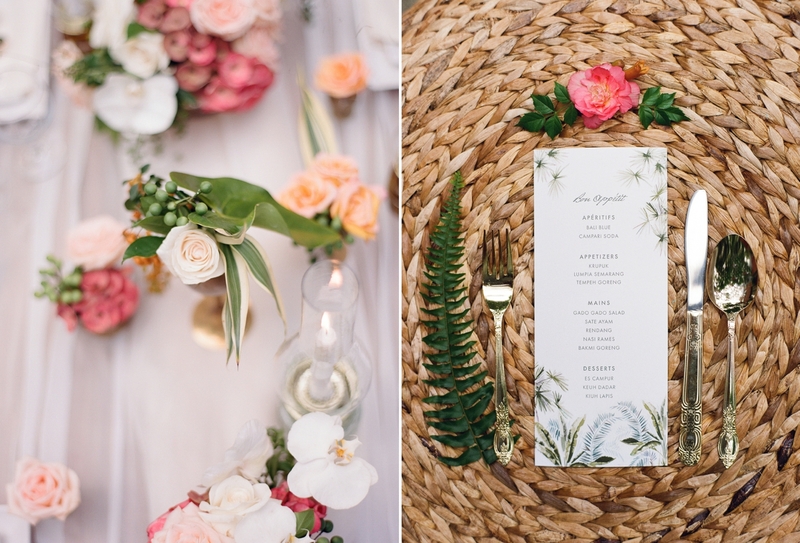 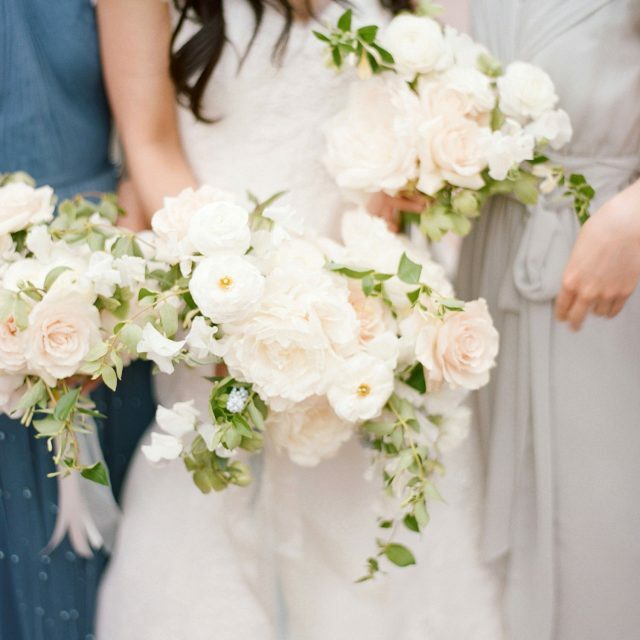 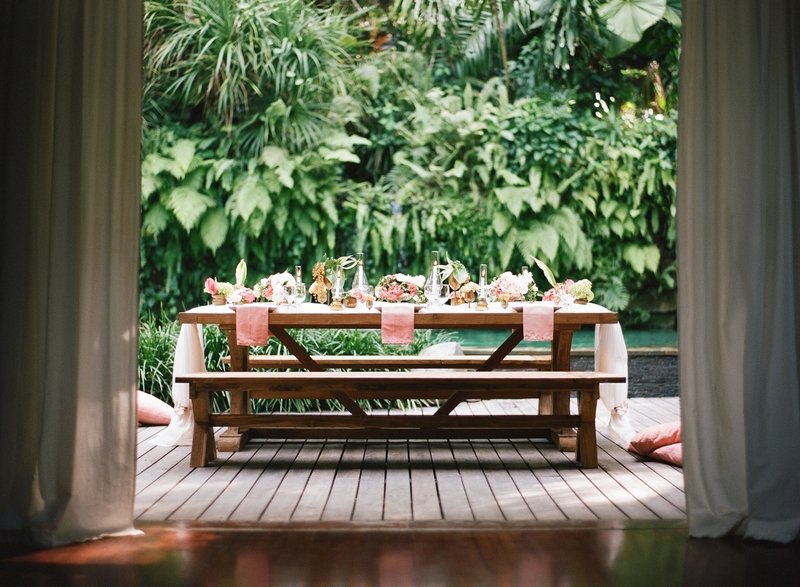 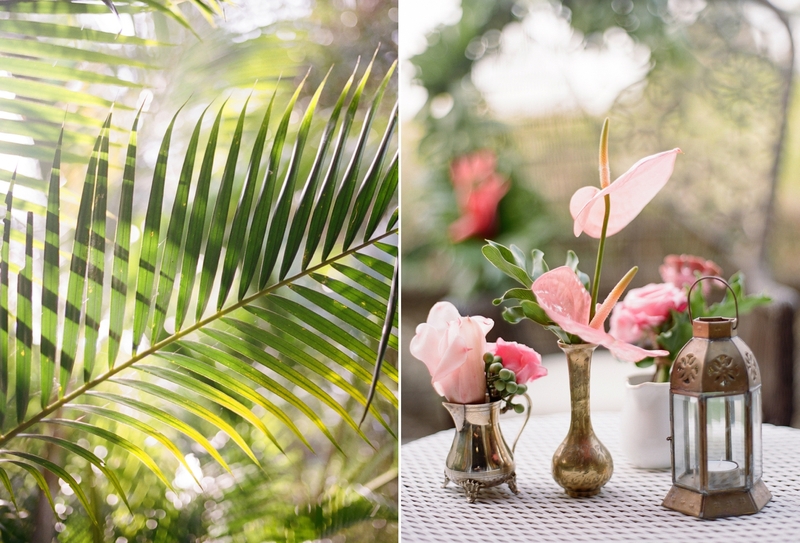 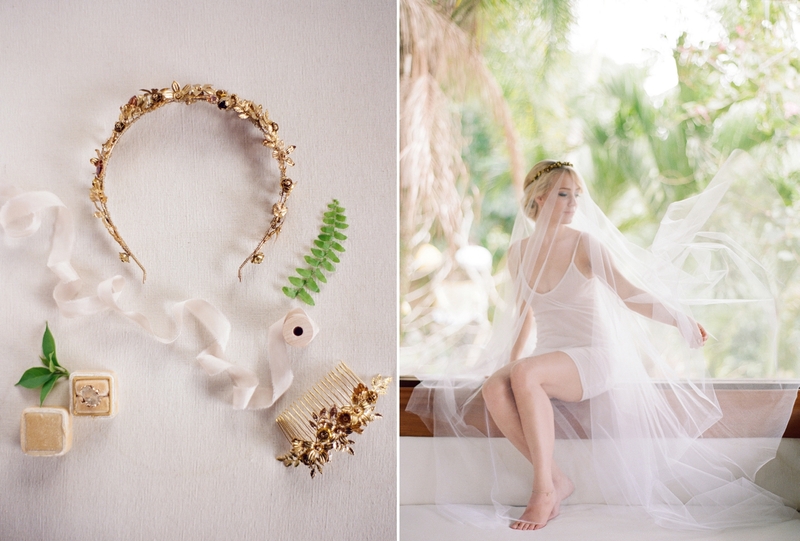 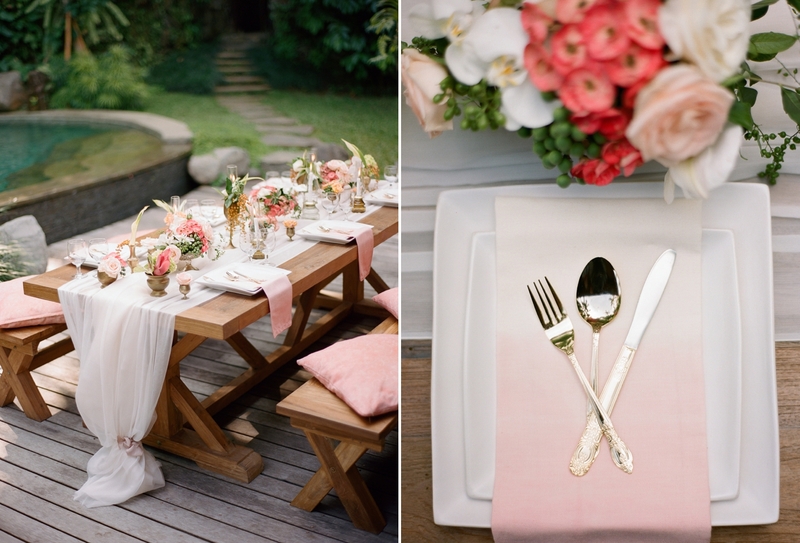 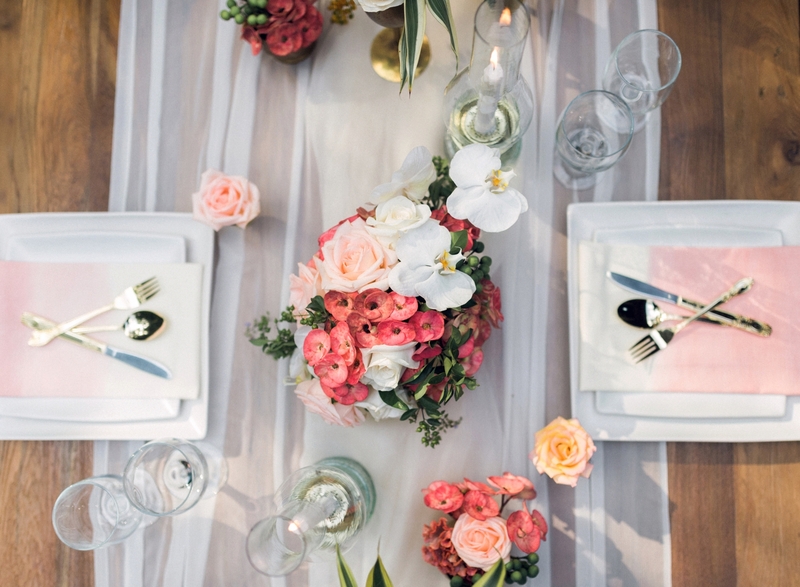 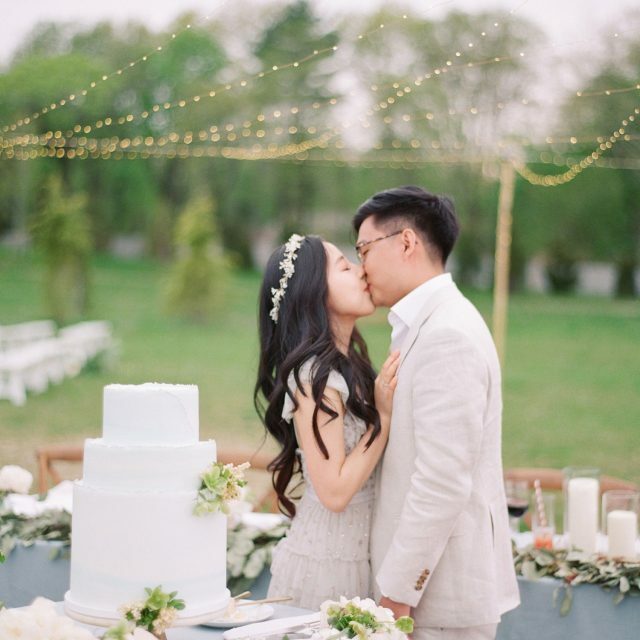 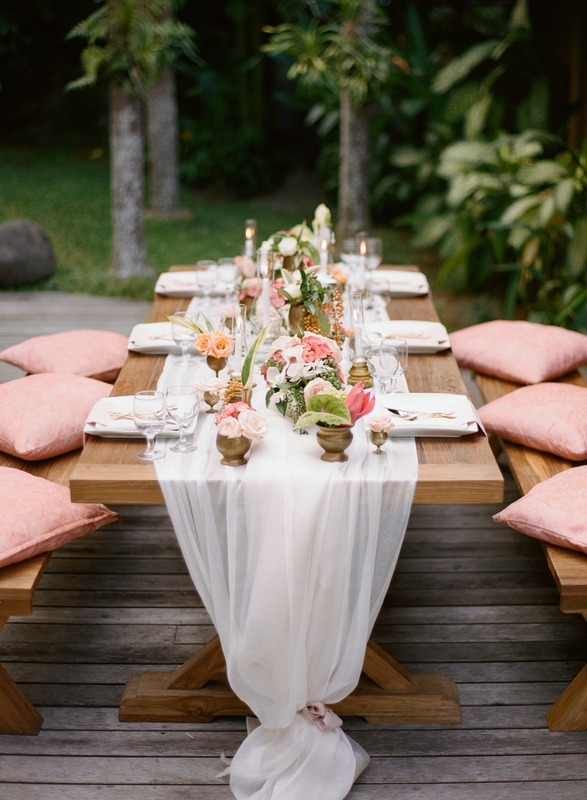 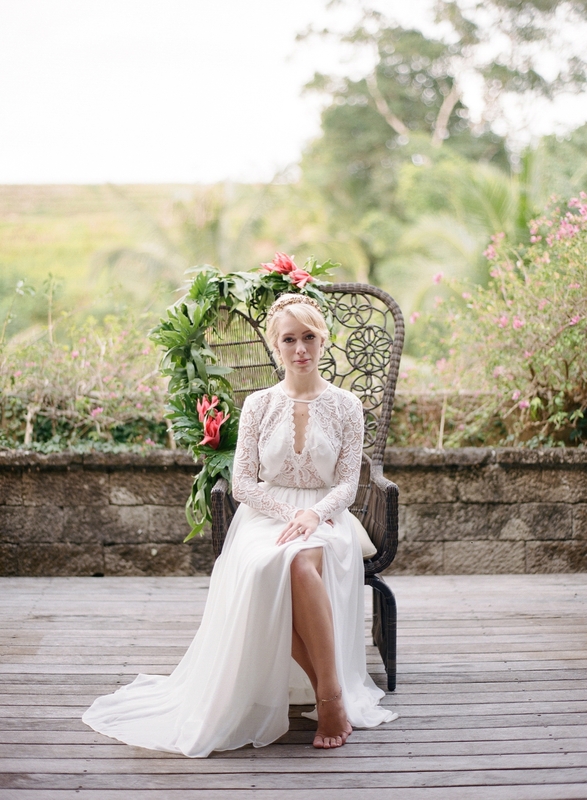 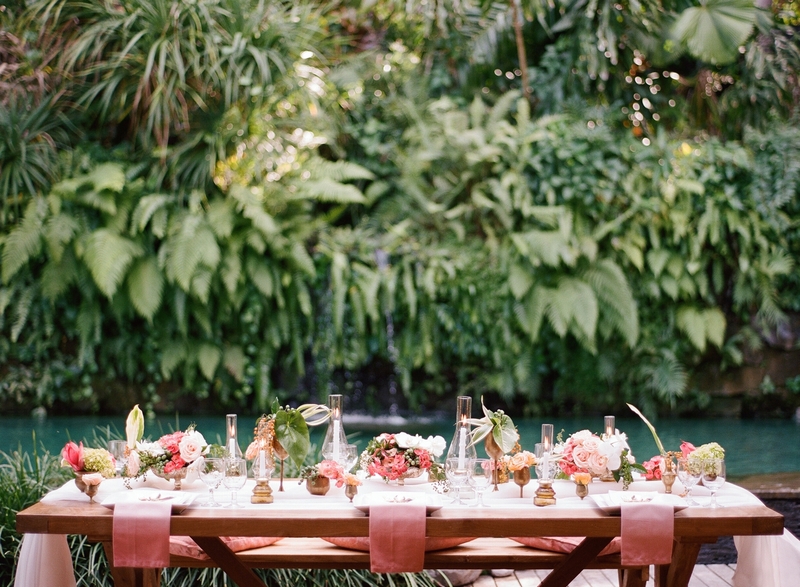 Accentuated with an array of subtle peach and pink local blooms, we were inspired by a softer take on a destination wedding in the tropics, as we wanted the color palette to accentuate the beauty of the natural setting without competition. 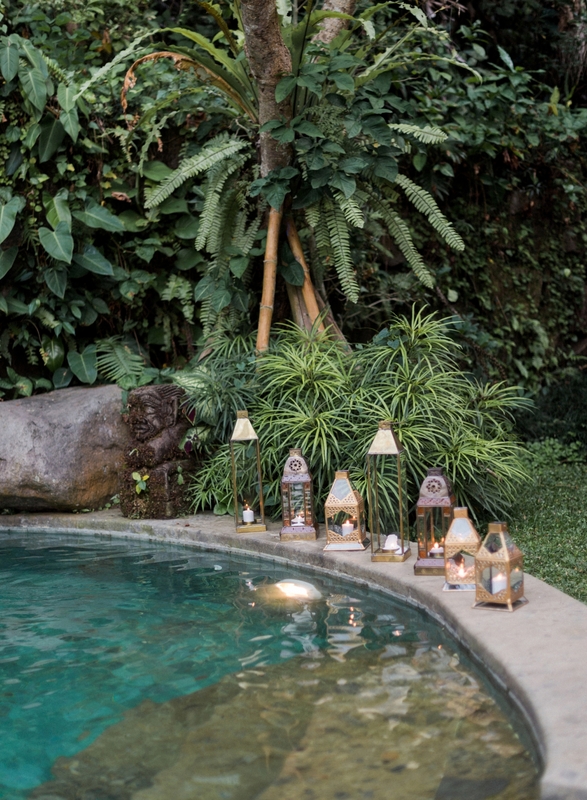 The intimate candle-lit dinner was filled in with an array of small brass floral vases, candles, ombre napkins, and was perfectly situated next to one of Pelangi’s enticing private pools. 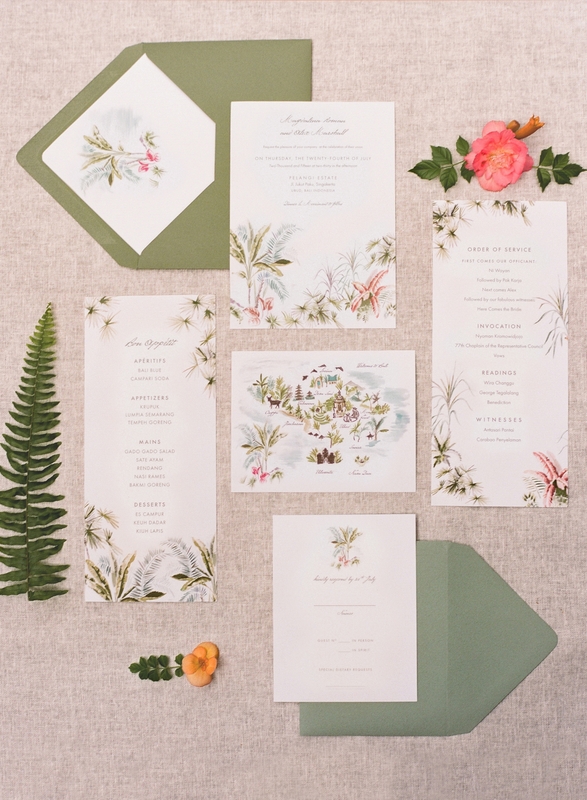 We were so fortunate to collaborate with the amazing team at Jolly Edition, who hand-crafted the most amazing invitation suite for the wedding day. 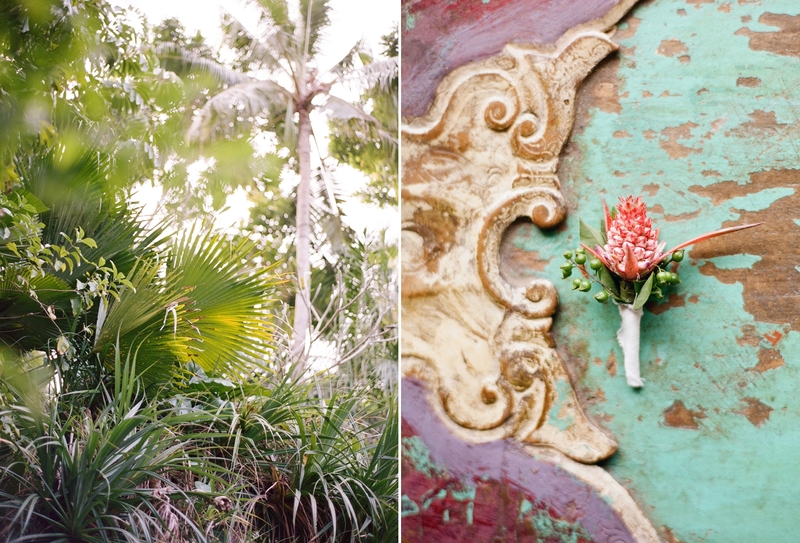 My favorite piece being the intricate map of the Villa location in Bali, painted in the prettiest of color palettes! 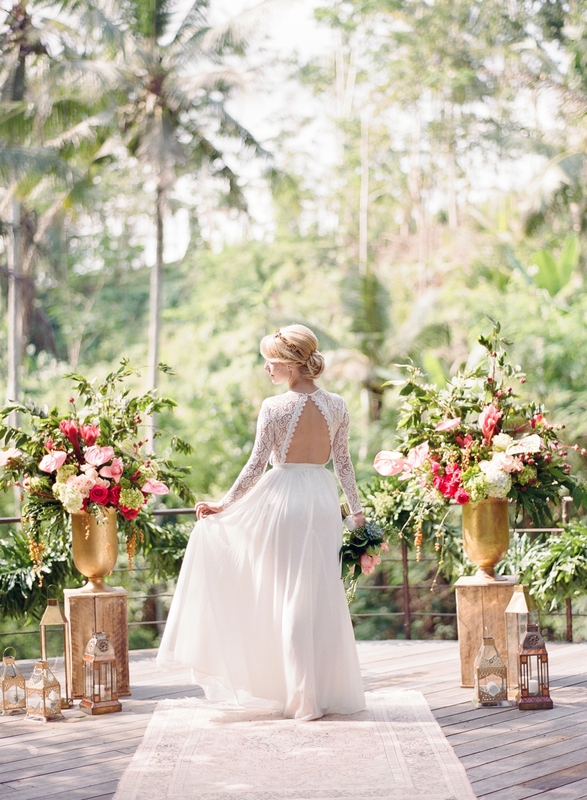 The blend of romantic colors was the perfect highlight to the natural beauty of Bali, and it was such a joy to capture this memorable day. 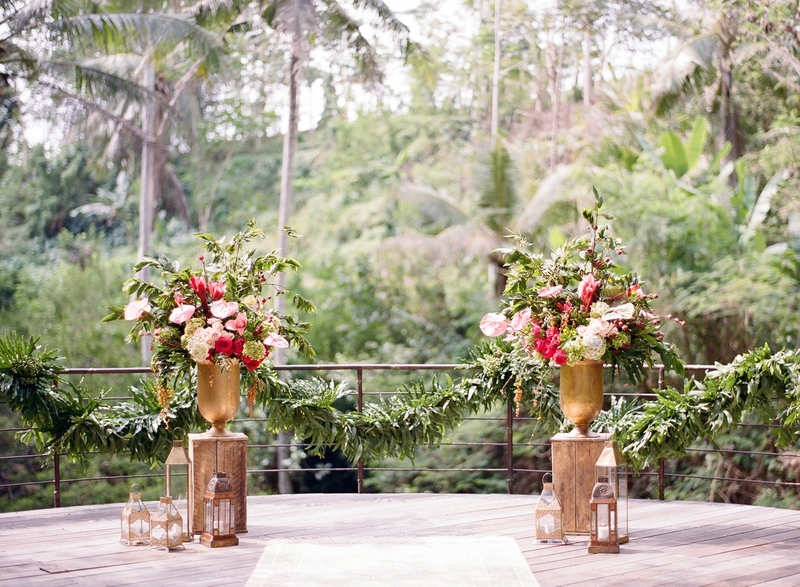 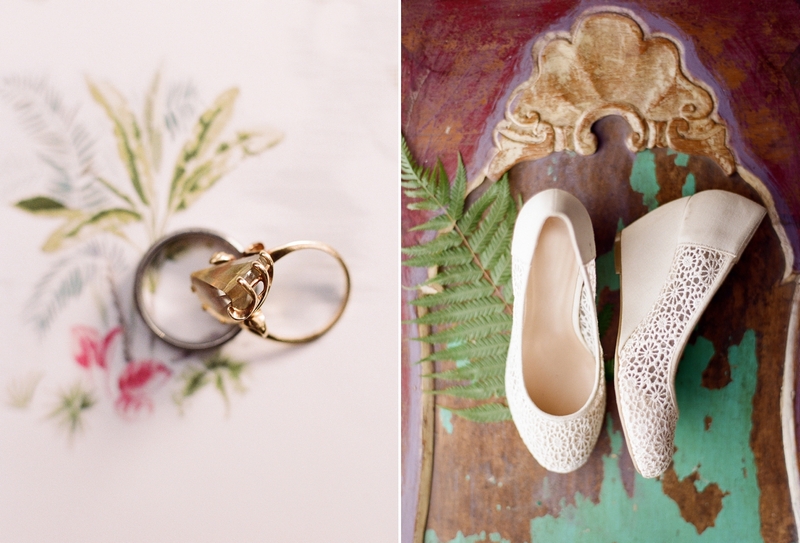 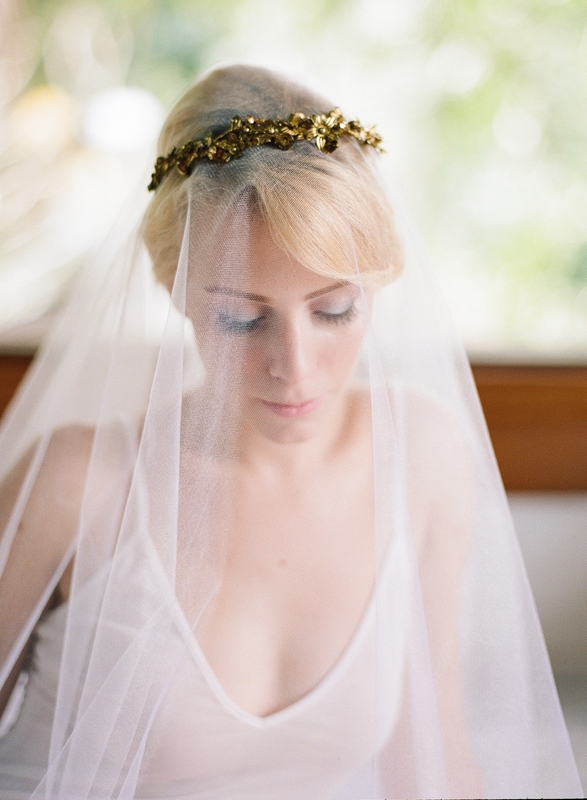 View more about our destination weddings here.